Safety in Indian mining sector. Corruption in mining in India. Daily up dated web site for mining engineers and mining professional in India. Unsafe mine workings and corruption in mining is closely related. 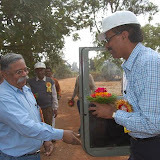 Mines Safety India. The author of the published work says unsafe mine working is closely related to the corruption in mining. N G Nair, a mining engineer having +30 years experience in Indian mining industry writes about the relation between unsafe mine workings and corruption in Indian mining sector. A mining engineer can only pray to the god for safe mine working. At last the death of a mining Professional / engineer from the corrupt society. But this is not an answer to the question. Now we have to think how we can improve safety status of Mines in India. Safety audit for the Mines. What are the other reason for unsafe mine working? Mines Safety Week Celebration 2009 – Kerala Zone. Think Talk Practice Safety. THIRUVANANTHAPURAM: Liberate Indian Science from the shackles and dead weight of bureaucratism and in-house favouritism, said Prime Minister Manmohan Singh. The PM’s tough words came during the inaugural address of the 97th Indian Science Congress at the Kerala University Campus in Karyavattom, Trivandrum, Kerala State. The achievements of Science and Technology should ultimately benefit the society at large. In this regard, Indian Science Congress serves as a platform towards inspiring the students, academicians and the common man to appreciate the value of science and to cultivate scientific attitude. 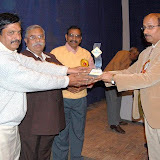 97th Indian Science Congress - SCIENCE EXHIBITION - January 3 - 7, 2010 at Trivandrum, Kerala State. Safety Rules Lekshminivas – Our home was an institution for learning.